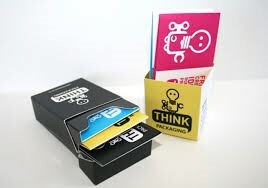 Business card boxes; an ideal way to set a standard! Do you know your business card communicates with your customers even before you communicate with them? So, protecting these cards should be our priority. If these cards are not properly stored, they might get curled up or folded which will make you look unprofessional. Business card boxes are designed to ultimately protect your cards. You can either use these boxes for storing your cards or you can use them for holding cards for your visitors and clients. Give out the business cards with an unbeatable style! Walking around with business cards in your pockets and waiting for the right time will not going to get you clients; your clients’ want something more, and I will tell you what it is. Dropping can be dangerous, right? But not when it comes to business cards. Drop them on streets and I am sure people will have a look on what has been left behind. 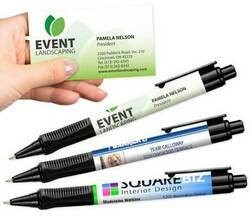 Business cards in the shape of your pens will bring customers like never before. Use your own pen anywhere you go and don’t bring it back with you. Every time someone uses that pen, your business card will grab their attention. Dining out can serve another purpose. Just get your business card branded with your credit card and every time you go out to eat, people will have a view of your classy business card. Uber is a growing taxi business and you can make the most of it, leave your business card in the seat for the other passengers. Your card will do its job till the last ride. Waiting in a checkout line is disheartening; people find ways to kill their boredom and magazine is the only option provided to them. Leave your card with magazines and they will grab one for sure. 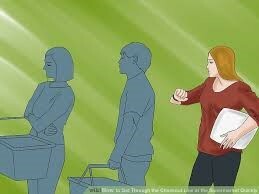 6)	Never leave them alone! Your business card should be with you all the time; you never know who you may come across! Your unexpected meeting can turn into a business contract. Just keep your card ready. If you pay your bills through your checks, then how about including your business trademark on the checks? 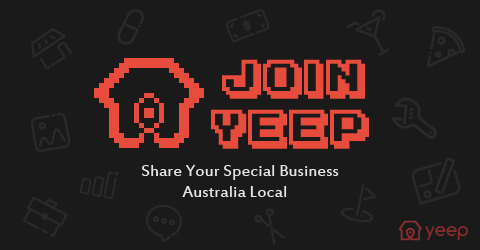 Marketing your business this way will surely make it appealing. Asking for someone’s business card after handing them yours is a polite behavior which will make them feel valued. Have a proper look at their card and they will do the same with yours. Your friends are your backbone, so feel free to hand them your business cards. Anytime they see someone in need of your services, they will tell them about you and pass on your card. Airport doesn’t only connect flights but it can connect you with some customers also. All you have to do is drop your card in the waiting area, food court or you can give them yourself. They might know more about you while waiting! Why Everybody Loves Custom Made Badges? Name badge is proven to be an effective customer service marketing tool. Name badges make it easy for your staff to communicate and establish personal relationships with your clients. As a business owner, you would be well aware of how much a customer means to your business. No customer means no business.